Unfortunately, it looks like summer might be coming to the end, but that doesn’t mean we can’t look fabulous this Autumn. Red has been the predominate colour throughout the year and it looks like it’s going to be continuing through to AW17. This year is going by so quickly and before we know it, it’ll be Halloween and Christmas. 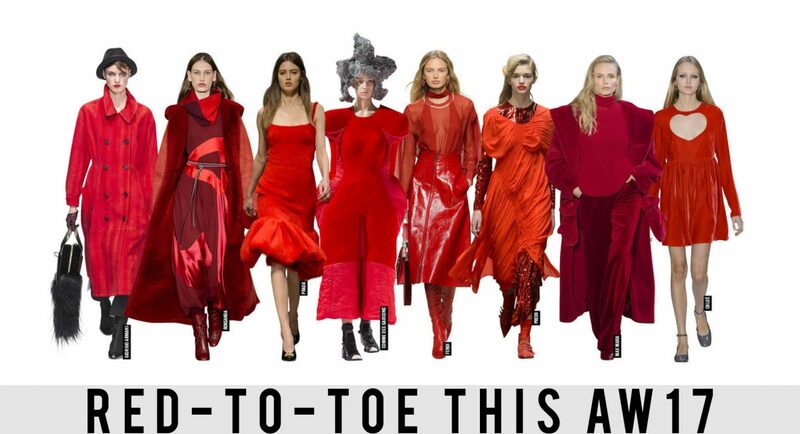 So lets get Red-To-Toe! Here we have Kendall Jenner in her latest Instagram post, wearing a red silky dress and a matching fur coat from Saks Fifth Avenue. Kylie Jenner posing for V Magazine – photographed by Nick Knight. Gigi Hadid posing for Vogue Korea. Gabby Allen (Love Island Contestant) wearing her lipsy dress for the Creme Ball. Little Mix’s Jesy Nelson wearing her flared trousers posted on Instagram three days ago. Treat yourself to our Eila Wine Choker Mini Bodycon Dress, which features luxe long sleeves with a ribbed stretch material. This sophisticated Edith Red Off Shoulder Thigh Split Bodycon Dress is guaranteed to turn heads with its bardot style and thigh split finish. Team up the the outfit with a pair of our latest high heels. Slip into our Zaria Red Scuba Bodycon Midi Dress, which features a cross neck detail and a bodycon style. Pair this outfit up with a pair of our barely there heels for the desired attire. The Dalia Wine Velvet Choker Bodycon Mini Dress is a sleeveless beauty, which you can pair with some heels and a clutch to channel your inner versatility. These items are only just a quick selection of the latest dress collection we have online. If you’re interested in the perfect red dress for AW17 they look no further. Alternatively, we have a variety of wine dresses also. Whether you fancy a red dress or not we cater for everyone; this includes bodysuit, top or bottoms, we have it all at Modamore.